Bikes showing as in stock we aim to build on Wednesday 24th of April. The Ti 29er is just as ready to tackle your local trails as it is to take on the serious business of top-flight XC racing. No other material can match the properties of titanium, it's the ultimate off-road metal. 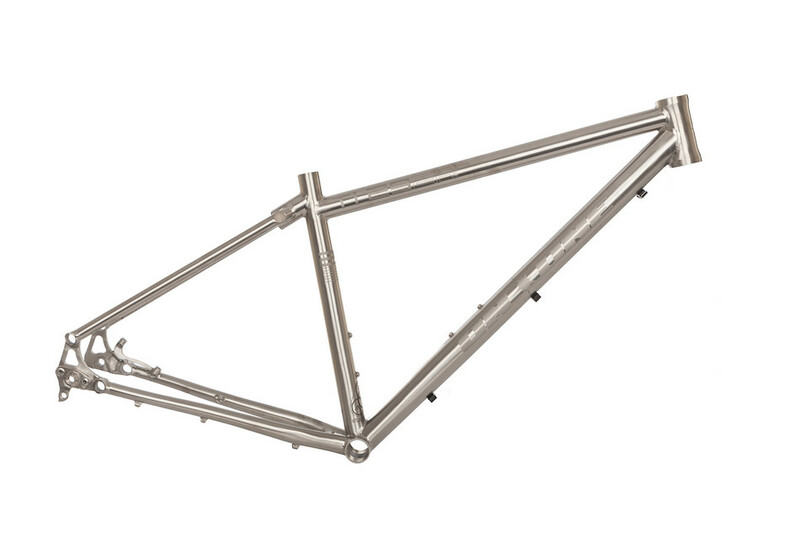 It doesn't rust like steel, it doesn't fatigue like aluminium and it smoothes out the trails like no other tubing. Factor in its unique appearance and everyone knows that titanium is the smart rider's choice. Add in fast rolling 29er wheels and you have a svelte XC focussed bike that's built to ride fast. Groupset: SRAM NX1 proves that SRAM have totally nailed 1X drivetrains and now we're ready to bring them to everybody, NX removes the price barier to entry- forever.. We've long been fans of the simpler one-up-front set-up, and this groupset manages to eliminate all those sore points that prevented previous perfection. Chain retention is faultless thanks to the X-Sync chainring; no more deflected chains, strong performance in muddy conditions - it's next level. Shifting is on-point and solid thanks to the horizontal parallelogram X-Horizon rear mech design. Doesn't mean much? Well, in performance terms it's faster, reduces shift force and does away with ghost shifting and chain slap, whilst increasing stability and precision across the entire range of the 10-42T cassette. This is pretty much the best VFM groupset available right now. Suspension Fork: Rockshox Recon RL Solo Air/b>The RockShox Recon RL sets a new benchmark for value-based performance. Air sprung oil damped, easy to adjust and bullet proof. Wheelset: FSA NS 29er tubeless-ready thru-axle wheelset featuring burly 15mm front and 12mm rear thru axles. Ideal from XC these wheels are fast and pretty damn light, perfect for thrashing round your local trails and taking out to race if that's your thing. We've finished off this new Ti29er with a selection of our best-selling El Guapo finishing kit, 60mm Stallion stem, 31.6m Bronco seatpost and a Rifle 760mm low ride bars. We've kitted the new Ti 29er with a frame specification that is right on the money. Oversized tapered steerer, double butted main tubes and a squeak free threaded BB. The Ti 29er also comes with Stealth dropper routing if you fancy the upgrade. Add in elegantly tapered rear stays and a 142mm thru axle back end and you have a bike built for UK conditions. Built to ride fast and built to put a huge smile on your face.